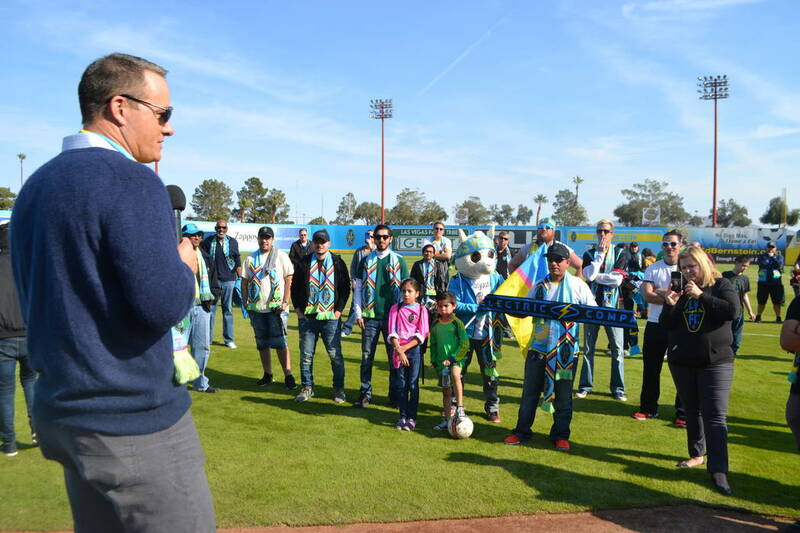 Eric Wynalda showed a reporter a cellphone video he had recorded in the wee hours of Nov. 9. It showed a red fireball moving toward his home in the hills above Ventura County, California. 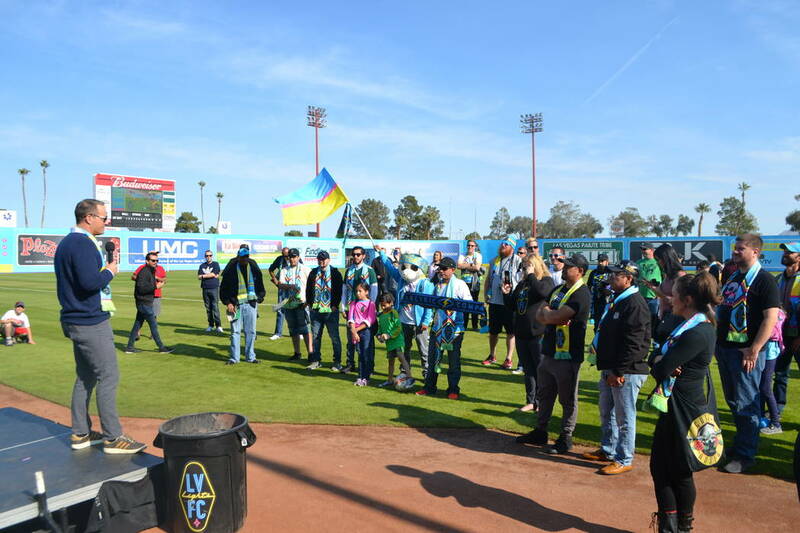 It was 10 a.m. Saturday, and down on the emerald green Cashman Field soccer pitch, Lights FC supporters were choosing season ticket locations. Children were having their pictures taken with a goalie wearing a Santa Claus suit. 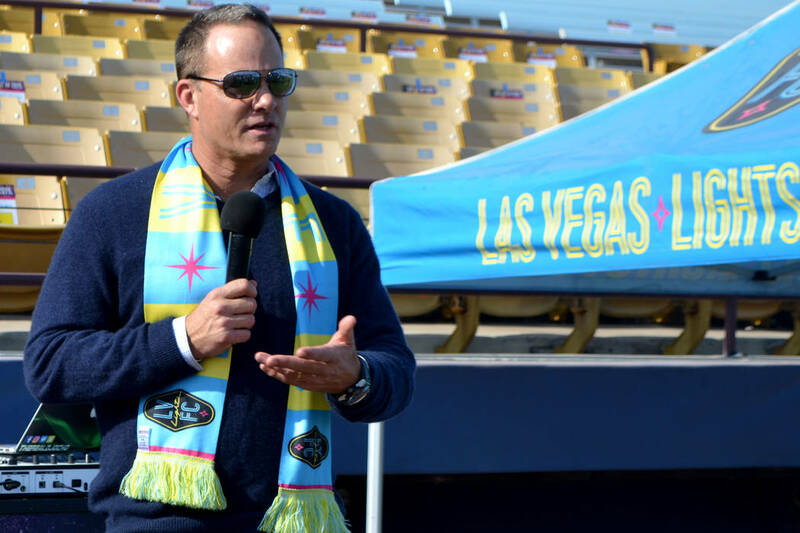 Up in the press box restaurant, Eric Wynalda was sitting at the same table at which Lights owner Brett Lashbrook had talked him into becoming the team’s new coach. 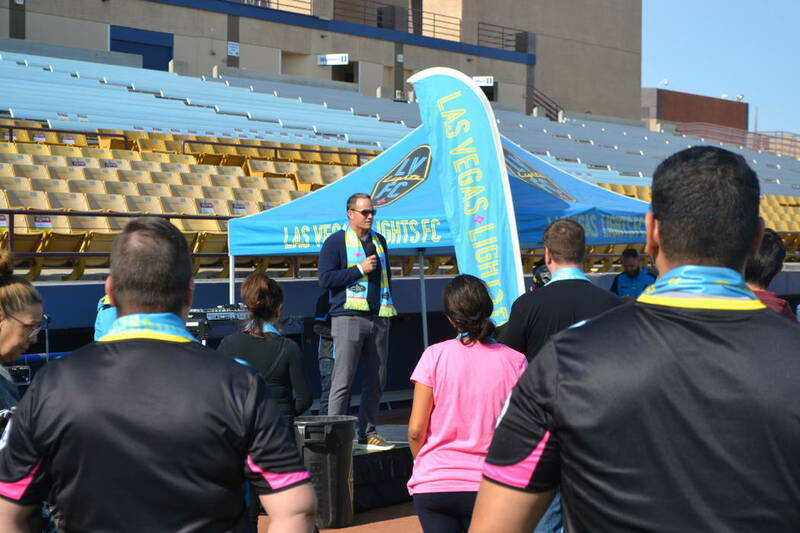 Wynalda was showing a reporter a cellphone video he had recorded in the wee hours of Nov. 9. It showed a red fireball moving toward his home in the hills above Ventura County, California. He clicked on another video, this one from the TV news. It showed his home engulfed in flames. Inside the inferno was the jersey Wynalda wore when he scored on a free kick in front of 73,425 spectators at the Pontiac Silverdome that gave the United States a 1-1 draw against Switzerland in the 1994 World Cup. Gone up in the flames of a deadly wildfire that rages on. Others did, Wynalda said quietly. The emotion was still raw. He reached for his sunglasses. 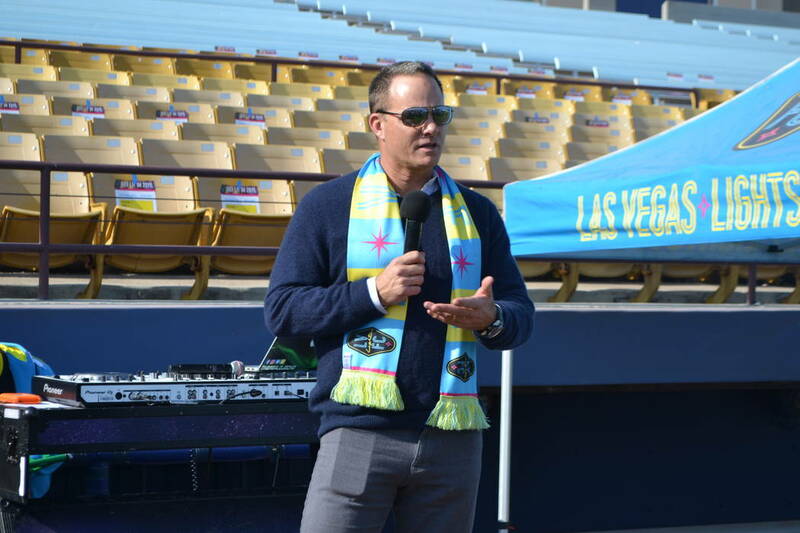 Wynalda said he grabbed what he could in the brief time that he had. Somehow his golf clubs and a bottle of tequila made it. His soccer jerseys and memorabilia did not. One of the last things removed before the red fireball roared down the hill: a portrait of Amanda and their 9-year-old son Braden, when Braden was an infant. 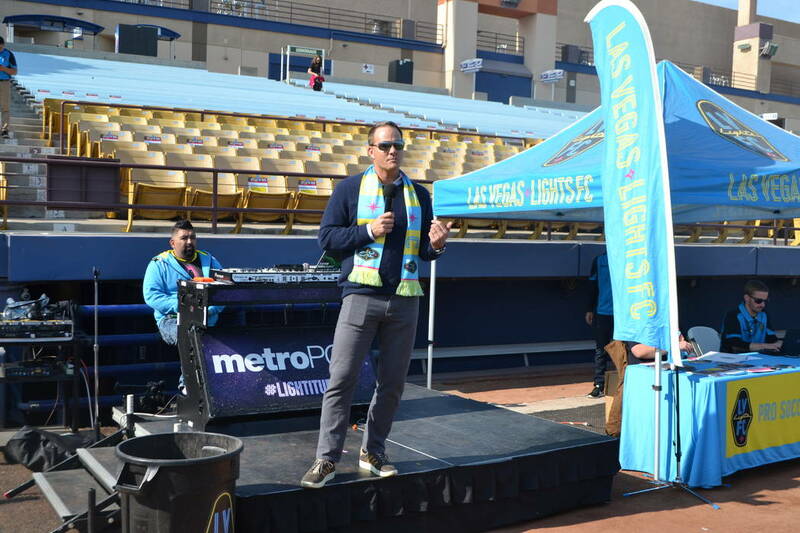 Eric Wynalda said that picture is now hanging on the wall of his stark Las Vegas apartment. It means a lot more to him than scoring that goal against the Swiss. A few years ago there was a NASCAR entry sponsored by Planters Peanuts driven by since-retired Carl Edwards. Judging from Noah Gragson’s reaction after finishing second to Brett Moffitt in their taut battle for the NASCAR Truck Series championship on Friday, one might have thought he had inherited that ride. “That’s just me driving 100 percent — driving my nuts off pretty much,” the 20-year-old Las Vegan said after leading 34 laps and holding off Moffitt until the last pit stop sequence and using up his front tires. It was Gragson’s last race for fellow Las Vegan Kyle Busch in the Truck Series. Next year he’ll slide into retiring Elliott Sadler’s seat in an Xfinity Series car owned by Dale Earnhardt Jr.
UNLV football fans with keen memories and sadomasochists may recall opening night of the 1989 college football season, and Andrew Ware leading Houston to a 69-0 victory over the Rebels at Sam Boyd Stadium en route to winning the Heisman Trophy. The Cougars’ offensive coordinator was John Jenkins, a proponent of the free-wheeling run and shoot offense. When Wayne Nunnely was fired as UNLV coach, Jenkins was one of six candidates tabbed as a possible replacement (Pat Hill, who would have a ton of success at Fresno State, also was on the short list). The colorful Jenkins showed up for his interview dressed as a TV evangelist, right down to the white patent leather loafers. He spoke like a used car salesman. Jenkins did not get the job. Notre Dame offensive coordinator Jim Strong did, and the Rebels went right on losing. When Jack Pardee was named coach of the NFL’s Oilers, Jenkins was elevated to Houston head coach. He guided the Cougars to a No. 3 national ranking in 1990. But success was short-lived, and Jenkins became a coaching nomad. Houston athletic director Chris Pezman was a Cougars captain under Jenkins. He said his old coach resurfaced recently at TDECU Stadium on the Houston campus. Was he wearing white patent leather loafers? "He treat us like men. He lets us wear earrings."